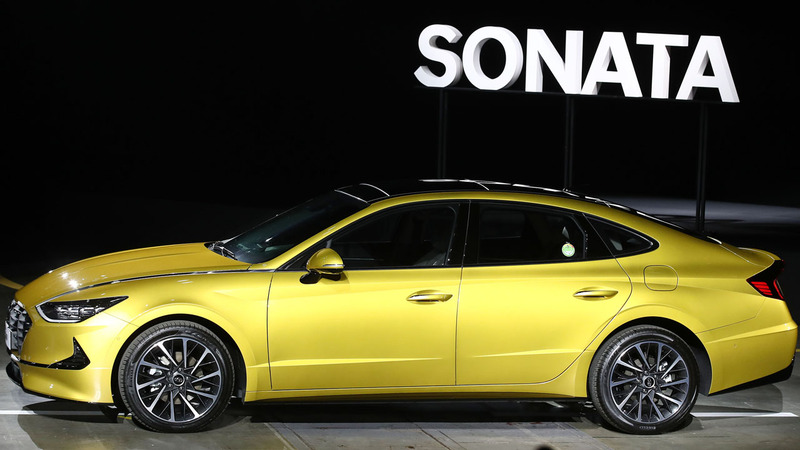 Hyundai Motor Delays Delivery of New Sonata ... "Complementing noise and vibration"
Hyundai said today that the factory will be delayed due to overhauling before the factory to compensate for the initial emotional quality problems such as noise and vibration of the Sonata. Hyundai said, "The subject to be checked is not related to performance or safety issues, but rather to emotional noises and micro-vibrations that can be felt differently by drivers." The delivery of the new 8th generation Sonata, which Hyundai Motor launched on the 21st, is delayed. Hyundai Motor Co. said yesterday that its factory will be delayed because it is carrying out precise inspection before shipment to compensate for the initial sensitivity quality problems such as noise and vibration of Sonata. Hyundai said, "The subject to be checked is not related to performance or safety issues, but rather to emotional noises and micro-vibrations that can be felt differently by drivers." The Sonata is the first model of the third generation platform developed by Hyundai Motor. Hyundai has said that it has strengthened its quietness by strengthening the thickness of windows and doors, and reinforcing the sound and sound insulation materials through the third generation platform. A Hyundai Motor official said, "We will thoroughly inspect and supplement it to the last minute and give our customers the best quality." The new Sonata has been contracted for 12,323 units from pre-contracts that went on sale from Nov 11 to 20 days before launch. When Hyundai Motor introduced the Genesis EQ900, it was delayed due to the fact that it was thoroughly inspected until the end to resolve the initial emotional quality.